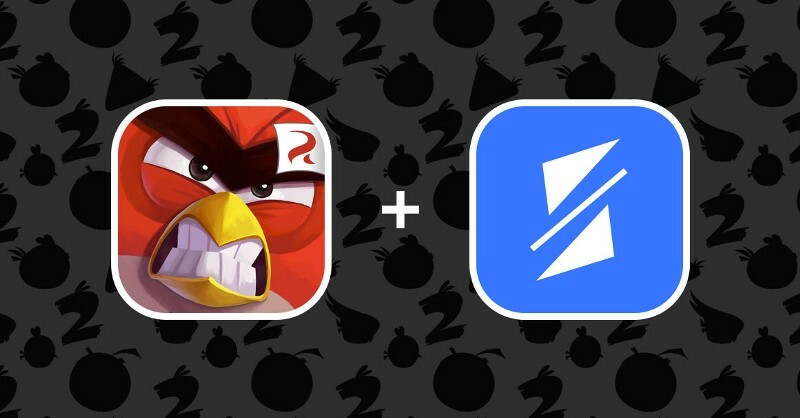 UPD: In a recent SplitMetrics case study, the guys at Rovio’s Angry Birds 2 improved conversion by a staggering 13% after experimenting with portrait/landscape and caption variations. 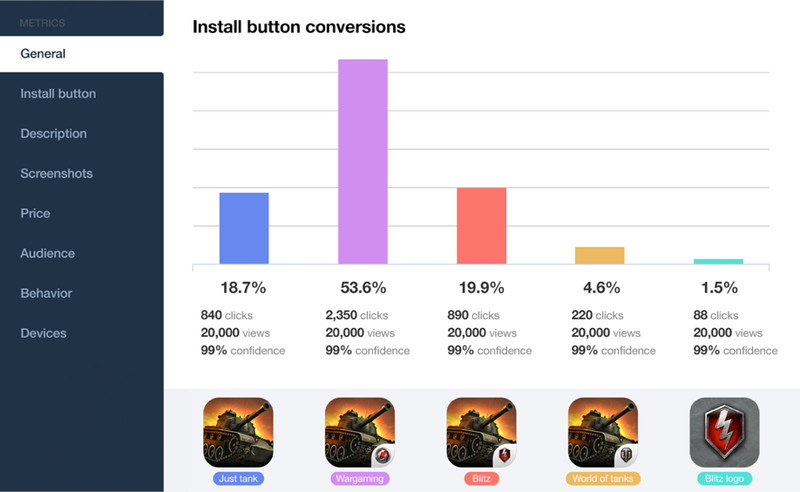 I am Eugene Nevgen, and I am a co-founder of SplitMetrics, the service for A/B testing of icons, screenshots, descriptions, and other kind of page data of applications in the App Store and Google Play. I have been engaged with startups since 2010. Starting from that time, I have succeeded to participate in creation of a number of projects, such as the PandaDoc electronic signing and document flow service, and the Goodwillion charity social fundraising auction. The SplitMetrics concept fell into my mind, when in PandaDoc we released its mobile application for iPad, which was featured by Apple in 109 countries, but the total number of installations was not so impressive. 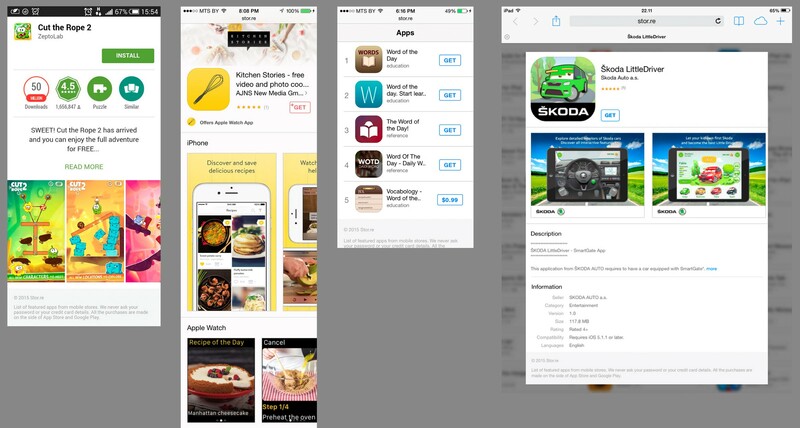 Then I started to find the way to measure the page conversion in the App Store. 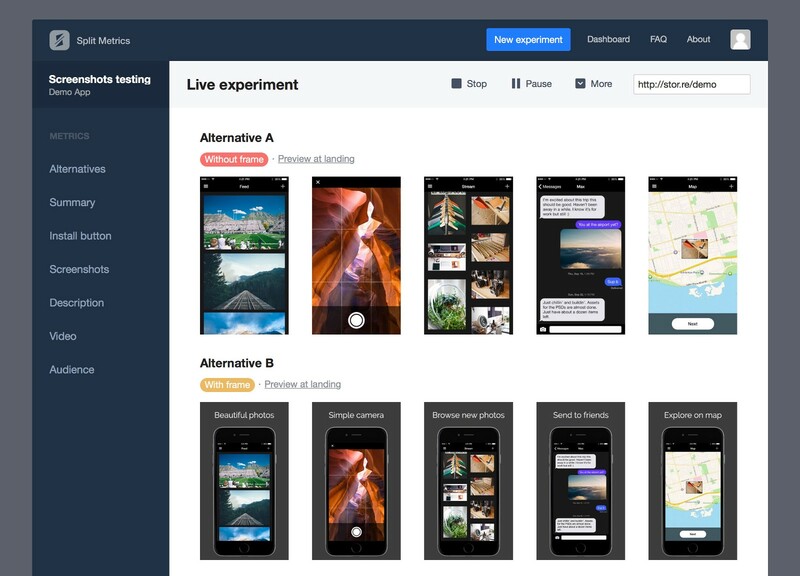 The only way for A/B testing and page measuring was creation of the own landing page, which would be similar to the one in the App Store in view of functionality, and then making experiments on it. SplitMetrics provides all features, required for such experiments: it generates landing pages, displays them for visitors randomly, as it is demanded for A/B testing; it also keeps the statistics for visitors operations, calculates the validity level for analytics, and in the end it generates the report. The SplitMetrics’ users can be aware, what percent of their visitors scrolls screenshots of each alternative, how many screenshots visitors scroll, if they open the gallery and look through preview thumbnails. By creating an experiment, the user receives a short link, like a stor.re/demo, and directs the traffic there; after some time he or she will know, what icons, screenshots and descriptions’ combination increases the conversion, which in the end leads to the increase in organic installations. The company has two co-founders. I am responsible for design and marketing. Max Kamenkov, ex-developer of the Slide.com (now acquired by the Google), is the chief architect of the PandaDoc. Max is responsible for the engineering content. I invite you to try the SplitMetrics to increase organic installations for your applications. If you have any questions, don’t hesitate to contact me.